Harrow got back to winning ways with a great victory against Ealing. We moved the ball quickly and never gave them time on the ball. We opened the scoring quite quickly with Brendan scoring and another came soon after with Verrell scoring to make it 2-0 to Harrow. We created more chances but a third goal didn’t come until late on in the half, Gabriel, having just come on as a substitute, scored the third which was followed by Verrell grabbing his second of the game. We also had a shot cleared of the line then hit the bar, the first half finished with Harrow leading 4-0. Ealing started the second half much better and created a few chances but it was Harrow who scored through Verrell, his hat-trick, the goalkeeper was unfortunate as the ball slipped through his hands. 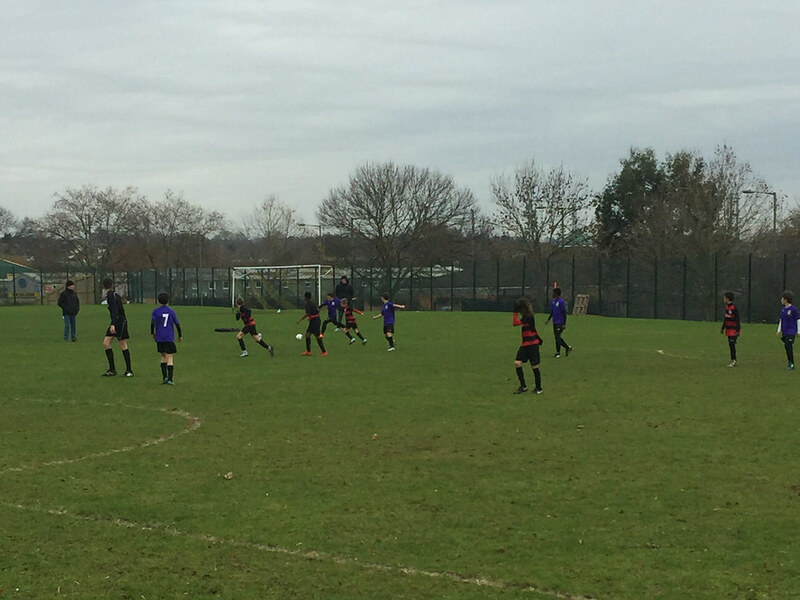 Brian scored with a fine strike making it 6-0 to Harrow. Unfortunately, Ealing grabbed to a couple of goals back to make the final score 6-2 to Harrow. A great performance from the boys with Verrell being voted man of the match. We are pleased to state that our very own Jan in 6E played in defence during both of these matches. The second half of the season started with Harrow playing Brent in a double header with the first game in the league and the second game in the Hertfordshire Cup. Harrow District started the first half very well but were unlucky not to take their chances. In the second half Brent managed to push forward but our defence held them up to keep the score 0-0. 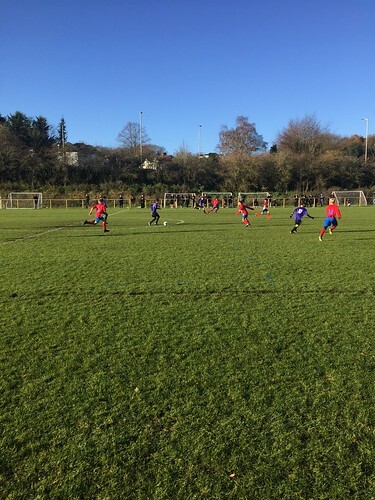 The decisive goal was scored by our man of the match Joe, after some determined play to chase down the ball, he scored from within the 6 yard box. Overall, a good performance for our first game back after the Christmas break. 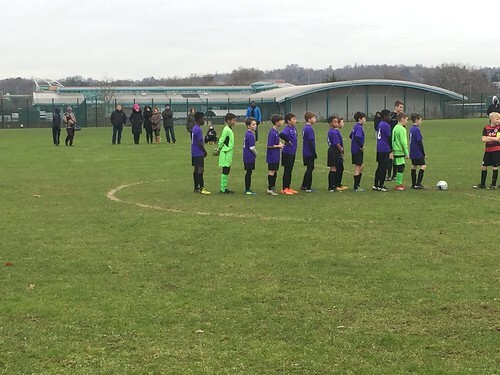 Harrow District then played a second game against Brent in the Hertfordshire Cup. The game was entertaining with both teams creating some good chances. However, the ended up finishing 0-0. The boys voted Patrick as the man of the match. All the boys who attend training on a Friday evening have now represented Harrow District in a competitive game. The managers would like to thank all the teachers for sending the boys along and also the parents for bringing them to training and all the matches. Matthew B - Pinner Park. Harrow District under 11s finished off 2017 with a well deserved 5-4 victory over Ealing. They showed good resilience coming back twice from being a goal behind. Ealing took the lead against the run of play with Harrow quickly drawing level with Keelan scoring his first goal of the season. The joy was short lived as Ealing managed to score a second goal to end the first half 2-1. Harrow started the second half very sharply and managed to score 4 goals with Gabriel and Pierce both grabbing 2 goals each. Ealing pulled one back and Matt, who was voted man of the match, saved a penalty. Ealing scored again through a penalty but Harrow held off for the win. Verrell - St. John Fisher. 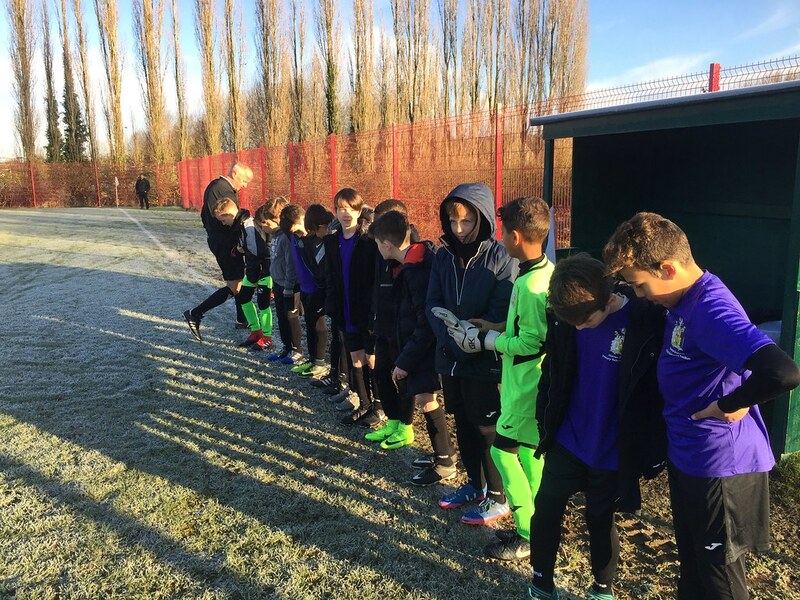 On Saturday 25th November, Harrow travelled to play Dacorum in the Hertfordshire Cup. The match is part of a three team group with Harrow still to play against Brent. Harrow started well and were in control for most of the match but couldn't find the breakthrough. They came close a few times and were very unlucky not to score. Dacorum had very few shots on target but were more clinical with their finishing and scored half way through the first half. Harrow did not let this get them down and continued to fight until the final whistle and were unfortunate not to equalise. Overall, it was a tough match and all the Harrow players proved that they will not give up. At the end of the game the boys voted Jan as their man of the match with Keelen and Joe close behind him in votes. Match report from John Creith following another excellent result. 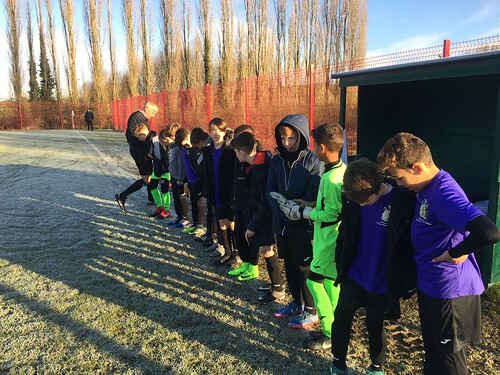 Harrow District Under 11s team had another amazing performance on Saturday 11th November. 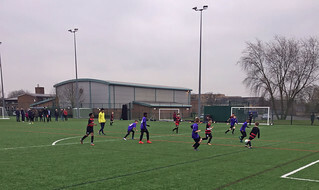 They played against Haringey who started off very well and were comfortable on the ball until Harrow started pressing the ball. Joe managed to steal possession of the ball, he drove forward and unleashed a cracking shot which flew into the top corner. Other goals quickly followed with Verrell, Pierce and Joe all scoring to make it 4-0 to Harrow. Brian finished the scoring off in the first half with a finely struck free kick. 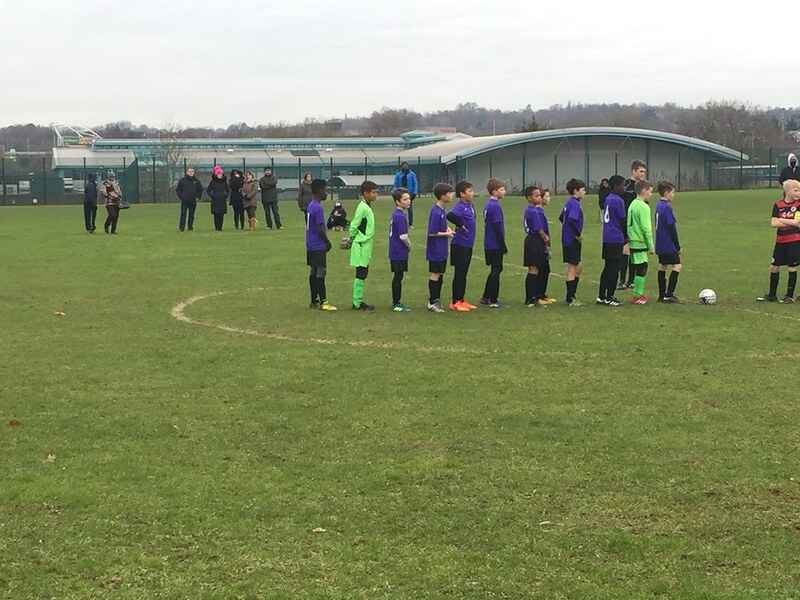 During half time both teams gathered around the centre circle at 11am to show their respect for Remembrance Day. The pressure on and off the ball continued in the second half where we had two players rounding off their half tricks. Brian scored another two goals to bring the score to 7-0 and Joe finished off a fine morning by finishing off the scoring to make it 8-0. Joe was also voted the man of the match by his fellow teammates. Well done to all the players including our goalkeepers and defenders who had their first clean sheet of the season.